These days, the labor market is in the midst of a “gig economy” renaissance. 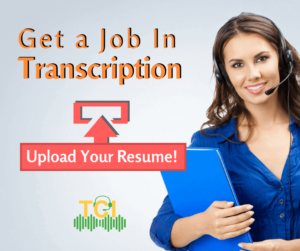 People are more interested in finding jobs, (part-time transcription jobs are one of them), that allow them to live free, work when they want and earn money whenever they need to. In other words, people are into gigs–even people who have full-time jobs, who often look to land side-gigs to earn money that allow them to travel and experience all that life has to offer. So how do you find yourself a good-paying side gig – one that allows you to work from home and make money online? Transcription job is always a good option. When you're looking for a side hustle, you're looking for a job that allows you the flexibility to work where you want, when you want. That's exactly what working as a freelance transcriptionist allows you to do. After you have completed your training, gone through your guaranteed internship and built your client base, you will be able to work from wherever you want, whenever you want to work. That means you don't have to worry about your side job getting in the way of your primary job. Most traditional part-time jobs pay an hourly wage–and the only way to increase what you take home from your side gig is to either get a raise or work more hours. That's not the case when it comes to part-time transcription jobs. When transcription is your side job, you are in control of your hourly wage. The more you work, the more you earn. The better your transcription skills, the more you earn. Which means that you can optimize your hourly wage ladder simply by becoming a better transcriptionist. How many other side gigs offer that kind of earning potential? If there is one thing you don't necessarily need, it's two bosses. If you are using transcription as your side hustle, you already have one boss at your primary, full-time job. When you are working in transcription, you build relationships with your clients, invest in tools and training that allow you to make more money, and schedule your own hours. Being your own boss is better than working for someone else – especially when you already have a boss at your primary job. The last thing you want to do is invest a bunch of money in training and tools that allow you to land a side gig…only to struggle to find work. That's not likely to happen when you are doing part-time transcription jobs. Companies across the United States (and around the world) are always in need of high-quality transcription services. They need videos captioned, meetings transcribed and recordings written down and recorded for historical purposes. So once you finish your training and start landing clients, you are likely to feast on a steady income from your side hustle. Sure, you could probably land a side gig stuffing envelopes, delivering newspapers or dishing up fast food to hungry customers. The thing about working in part-time transcription jobs is that you're almost always going to be working on interesting projects. Companies, large and small, hire transcription service providers. Government agencies hire them. So do non-profits, law firms and health care providers. If you have particular areas or industries that interest you, you are probably going to be able to find a company or companies in those areas or industries that will want to take advantage of your talents. Working on projects that keep you mentally stimulated will make your side hustle much, much more fun and rewarding. By now you are probably wondering where you can go to find a side gig in transcription–and why wouldn't you be? The good news for you is that the jobs are out there. At the TCI Job Board, you will get alerts of vetted employers looking for part-time and full-time transcriptionists. Some of the companies at the job board are agencies, which means you will have steady workflow when you get accepted by them. Flexjobs is a paid platform that posts hundreds of transcription jobs leads every week. You can customize your account to receive alerts of the jobs you are interested in. Upwork boasts hundreds of part-time jobs from employers from all over the world. You will need to create a profile and submit bids to get hired. Zip Recruiter is a nationwide curator of jobs, including online ones. When you sign up at this platform, you get a notification when a recruiter views your application. Monster aggregates transcription jobs from all over the country, providing details such as companies hiring, their requirements, remuneration, and more. 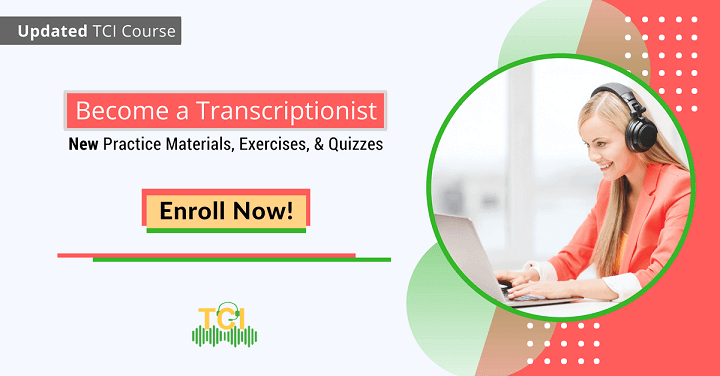 If you haven't yet completed your training to become a transcriptionist, the Transcription Certification Institute can help with that, too!